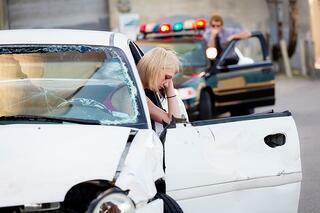 Why Choose Chiropractic Care After a Car Accident in North Carolina? If you have been involved an Auto Accident in North Carolina, you should have a medical evaluation including diagnostic testing performed by an experienced Car Accident Injury Specialist immediately. One of the most popular types of medical professionals that many injury victims choose to see after a Car Accident is a Chiropractor. People in North Carolina trust Doctors of Chirorpactic to treat their injuries because they understand that many of the common injuries associated with Car Accidents are best treated with Chiropractic Care. Chiropractic Care is also becoming a more preferred option because it is a natural, holistic treatment option that does not require the use of dangerous pain medication or invasive surgery. At Car Wreck Doctor, we provide the people of North Carolina with access to experienced Auto Accident medical professionals and personal injury attorneys in their area, at No Charge. If you have been injured in a Car, Truck or Motorcycle Accident in North Carolina and would like to speak with a Car Accident Chiropractor in your area, contact Car Wreck Doctor today. How Much do Car Accident Doctors Charge Patients? At Car Wreck Doctor, we work diligently to ensure that our patients never have to pay out-of-pocket for their Auto Accident Injury medical treatment. All of the Chiropractors that work with Car Wreck Doctor work on what is called a “Medical Lien”, meaning their services are paid for out of your Car Accident Lawsuit Settlement. By working with professional Personal Injury Attorneys, Car Wreck Doctor is able to provide both expert medical care and legal assistance to their clients. If you would like to learn more about how our team of Chiropractors and Personal Injury Attorneys work with Car Accident Victims in North Carolina, contact us today. What If I Don't Feel Injured? We recommend that everyone involved in accidents see a doctor as soon as possible because many injuries have symptoms that can be delayed days or even weeks. Unfortunately, if you do not get your injuries diagnosed and begin treatment as soon as possible after your accident, it can lead to you being responsible for paying your medical bills and could further complicate your injury. By having a chiropractic doctor check you for possible injuries and run diagnostic tests to inspect your well-being, you protect yourself from legal issues and further physical injury. The Experienced Car Accident Doctors in Car Wreck Doctor’s network understand the legal process that victims go through when they are involved in a Car Accident that is someone else’s fault. This means that you can rest assured that all of your injuries and treatments are properly documented and provided to your attorney so that you will receive compensation for what you have endured. Car Wreck Doctor's mission is to help the victims of car accidents in North Carolina with all of their medical and legal needs. We provide auto accident injury victims with a large network of accident injury specialists in their area to provide them with access to proper treatment for Auto Accident injuries. Once we connect our client with the right medical professional, we will also provide them a referral to an experienced Personal Injury attorney to make sure that their legal rights are protected and they never have to pay out of their pocket for treatment. If you have been hurt in a Car Accident in North Carolina that was someone else's fault, call Car Wreck Doctor today or click on the link below and get the care you need.